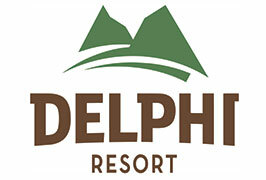 Delphi Resort has the family factor this summer! Delphi Resort in Connemara have a range of family focused packages available this summer to suit all tastes and budgets whether you are looking for adventure and activity or rest and relaxation! Summer holidays were made for spending special time with your family. This summer, pack the sunscreen, load the kids into the car and take a road trip to Delphi Resort in magical Leenane, Connemara, where you’ll find family holidays designed with fun and adventure in mind! Perfectly located in the heart of the Wild Atlantic Way, on the border of Connemara, Co Galway and south Mayo, Delphi Resort offers family focused packages over the summer months to suit all tastes, budgets and accommodation requirements. You can get up to 20% off when you book one of their family packages– with discounts off bed and breakfast, dinner and adventure activities! There are range of family accommodation options from cosy family rooms and luxury one and two bedroom suites in the hotel, to more budget friendly rooms in the brand new Wild Atlantic Hostel. Delphi Resort is renowned for the superb range of adventure activities available, with over twenty family friendly outdoor activities to experience suitable for age 4+, including kayaking on Killary Fjord, surfing on Ireland’s Wild Atlantic Way, mountain bike riding, Zip ‘n Trek tree top adventure and the brand new 220m zip wire – the only difficulty will be deciding which to choose! There are supervised kids activities all day so parents can leave their children safely in the hands of expert Delphi staff and enjoy some much deserved peace and quiet with dinner and drinks in the bar, indulging in a spa treatment or simply enjoying a good book in a comfortable arm chair. The free morning Kids Club (3-7 year olds) offers a range of ‘fun for the little ones’ activities including arts and crafts and nature walks. Afternoon Kids Club is also available for €25 per child. 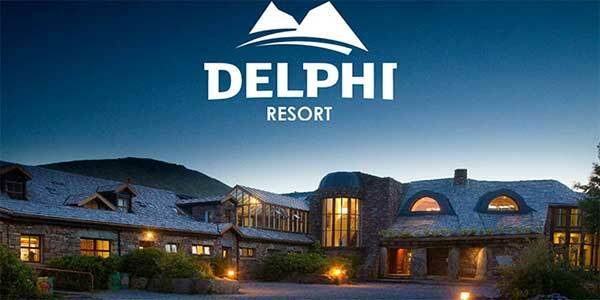 For more information on all the exciting packages available for your family this summer contact Delphi Resort by calling 00353 95 42208 or visit www.delphiresort.com. Each of these packages includes 4*hotel accommodation, a full Irish breakfast each morning for the family, a 3 course dinner in the 814 restaurant, a full day of adventure activities​ worth €340​ (2 water activities or 1 water and 2 land activities​ for 4 people), free morning Kids’ Club and evening movies in the movie room, plus one hour’s complimentary access to Delphi Spa’s Thermal Suite for adults. With cosy and peaceful 4* hotel rooms, fantastic budget accommodation in the new Wild Atlantic Hostel, adventure in the great outdoors, a tranquil spa surrounded by breathtaking mountains and excellent food with specific children’s and seasonal menus, enjoy delicious, home cooked Irish food during your stay in the 814 Restaurant while enjoying stunning mountain views. There is plenty to keep everyone happy and entertained this summer at Delphi Resort and it’s the perfect location for exploring the Connemara and South Mayo regions with your family just 20 minute’s drive from several stunning Wild Atlantic Way beaches.